Classics with a twist: a paisley print on inside of the double-faced fabric, to show off when the cuffs are rolled up. 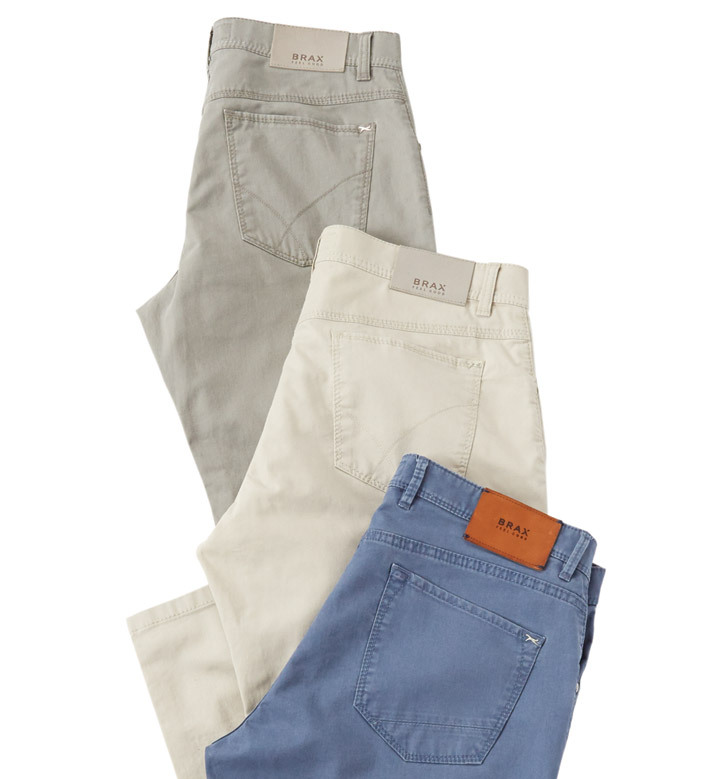 Five-pocket styling, comfortable stretch, vintage finish. 96% cotton/4% elastane. Machine wash. Imported.